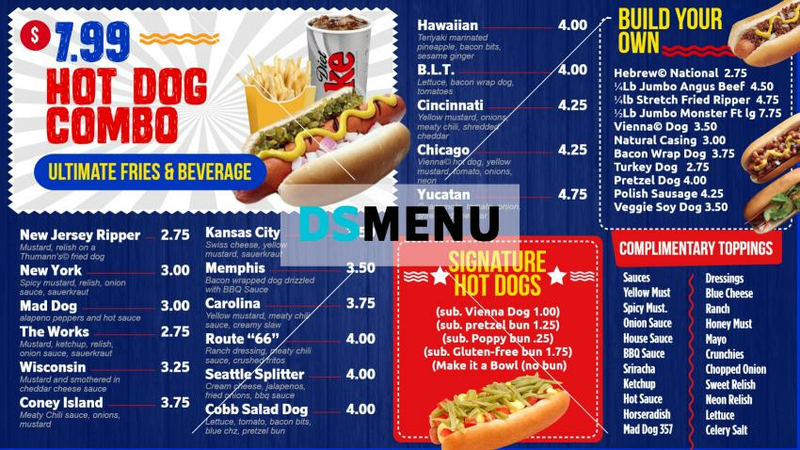 This crisp, clean hotdog menu will be a visual delight on a digital menu board. The dark blue background is perfectly complimented by the white typeface. The white rectangular block on the top left highlighting the main theme with visuals, and the red square block in the middle lend a unique sophistry to the design. The branding of menu items will ensure customers loyalty as well as establish high quality standards of the restaurant.